connected to a video monitor or a second recorder. would use the VIDEO IN connector. there is a LINE HIGH/LOW selector switch to correct this. connectors for hearing audio from the two audio channels. connected to the CAMERA connector. LINE/CAMERA select switch is put into the camera position. 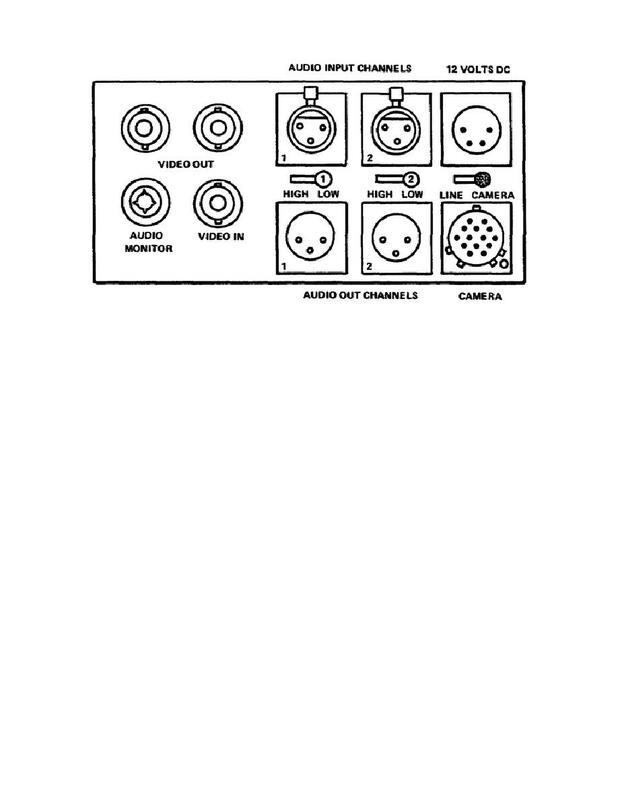 the MIC LINE/CAMERA select switch into the line position.